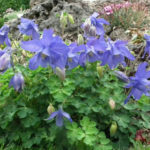 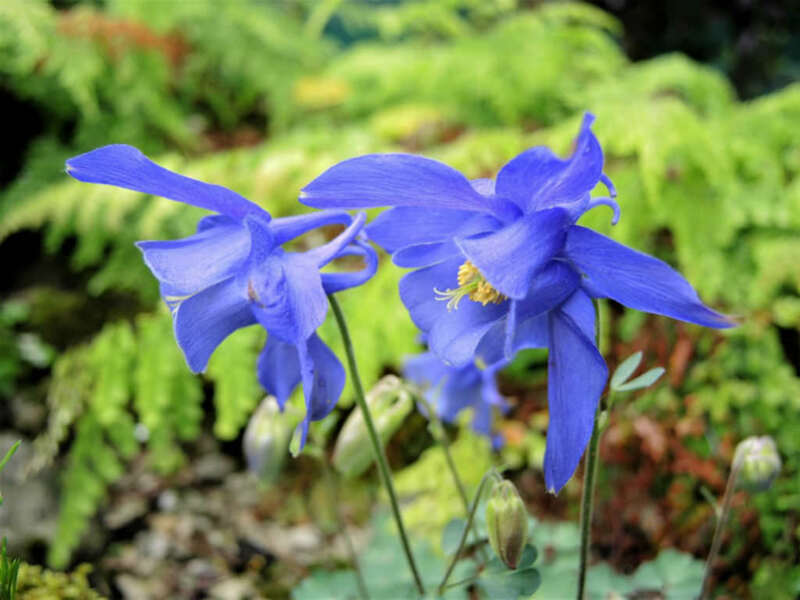 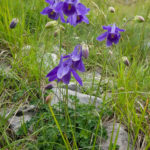 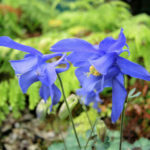 Aquilegia bertolonii is an alpine, herbaceous perennial up to 12 inches (30 cm) tall, with much divided, basal leaves and erect stems. 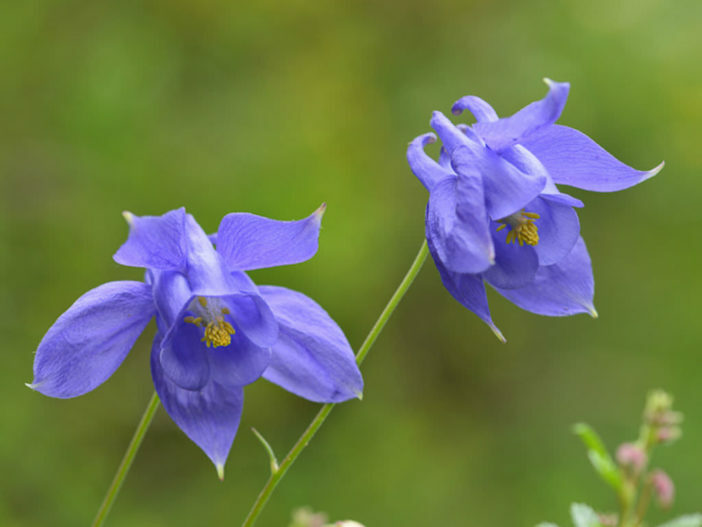 In early summer each erect stem produces up to 4 spurred, blue-purple flowers. 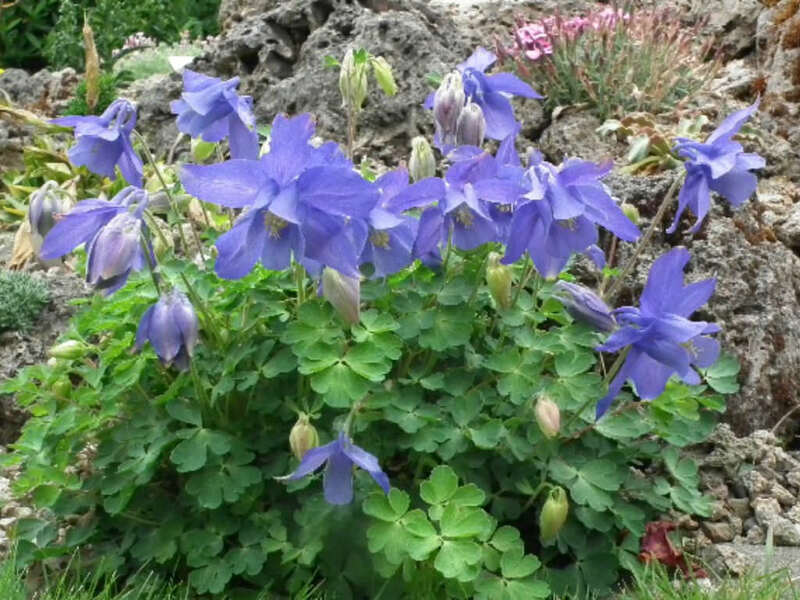 USDA hardiness zone 6a to 8b: from −10 °F (−23.3 °C) to 20 °F (−6.7 °C). 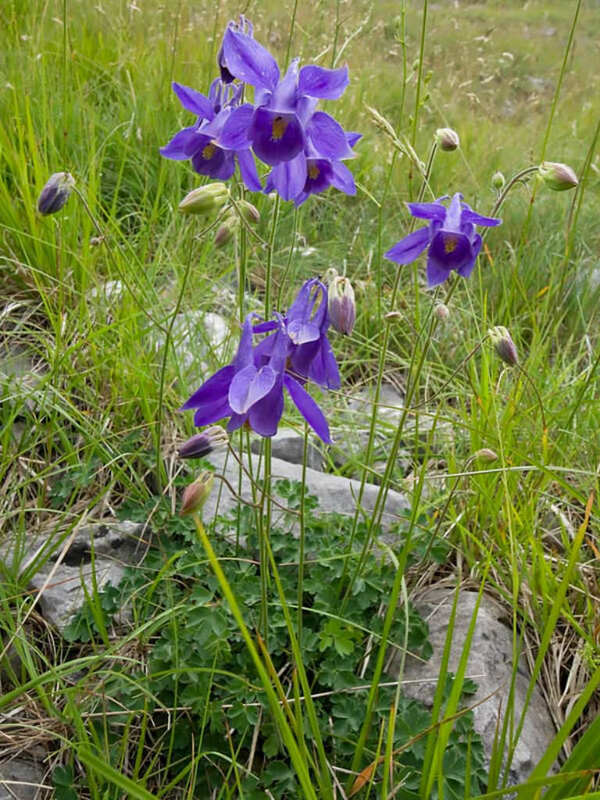 Native to southern France and Italy.